At ISTE 2014, we were interviewed by Ben Herold about the intersection of the Maker Movement and current trends in education, including the adoption of the Common Core. The “maker movement” is making waves, garnering the recent attention of everyone from President Obama to Chinese entrepreneurs. Maker education, which focuses on giving children hands-on opportunities to build, tinker, and experiment, is also a big deal here this week at the annual conference of the International Society for Technology in Education, where sessions on everything from “Designing your makerspace” to “Interactive electronics without programming” to “Merging mobile, makers, and science education” are taking place. The duo, both of whom are long-time proponents of constructivist and technology-based education, say they’re excited about the potential of maker education to reconnect students to the “incredibly euphoric experience that’s associated with making something work” and to reinvigorate teachers who “feel something is missing” in their practice. But they’re also skeptical that the movement can coexist alongside the new Common Core State Standards and survive the education sector’s impulse towards consumerism. Martinez: I’ve talked to some teachers who have never heard any of this stuff. But a lot of teachers know that project-based, independent, hands-on experiences work for kids. We look to combine [that knowledge] with new tools and technology and connect it to the maker movement … It’s helping teachers understand they can put students in control without there being chaos. It can be empowering for students and for teachers, too. Martinez: It inspires teachers to think differently about giving kids more agency over their own learning. We’re not doing it because there are good computer science jobs out there. We’re doing it because computer programming gives kids agency over this incredibly powerful machine. Stager: Much of what were advocating has been done before. In the book, we situate the maker movement in historical context. In the 1980’s, teachers taught programming to hundreds of thousands of kids…. The real power of 3-D printer is not what gets spit out at the end, especially if it’s just crap you can buy at a 99-cent store. The real power is that it gives kids access to the Z-axis for first time in history. Stager: There are some overlapping interests between the Common Core and the maker movement, but [they are ultimately] incompatible. The standards are rooted in this idea of a centralized body of knowledge that all kids must comply with, which is in stark contradiction to the notion that learning is more fluid, more intimate, more personal. That doesn’t mean that you couldn’t tick off boxes in the Common Core by having kids have meaningful making experiences. But the notion that some anonymous committee of grownups has made a list of stuff that all kids need to know because that’s what jobs are going to [require] in the future is preposterous. 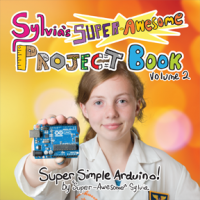 The maker movement prepares kids to solve the problems that [adults] never anticipated. Martinez: I think the Obama administration is in favor of both the Common Core and in favor of some things that don’t fit in the Common Core. Maybe they don’t see the inconsistency. Martinez: We’re trying to make sure [that maker education] is not just shopping [for new technology.] Some people hear the shopping message before they hear the educational change message. Hi, I am finding the argument against the Common Core State Standards similar to the NZ National Standards. My colleagues and I are about to apply for funding in New Zealand to try out an innovative approach to enhancing Literacy Standards. We want to use the Maker Culture to encourage dialogue, reading, writing etc in a realistic and meaningful context. Do you have any research that shows Literacy can be positively affected by making and creating? Many thanks, Fiona Mackley, Year 4 teacher, Alexandra Primary School, NZ. I just today put up a link to a new literature review on Making and Tinkering. This is definitely the place the start!